Raw sugar prices on ICE surged in a late-day rally on technical buy signals on Monday, with the spot contract jumping to a five-week high as the market focused on expectations for a modest delivery against the expiring contract. Cocoa prices rallied as spot London options expired, pulling futures up to the active strike levels, while concerns over dry weather in top grower Ivory Coast also buoyed the markets. Robusta coffee rallied more than 3 percent, in a dramatic turnaround after nearly touching a new low last week. The spot raw sugar contract rallied just minutes ahead of its expiry. 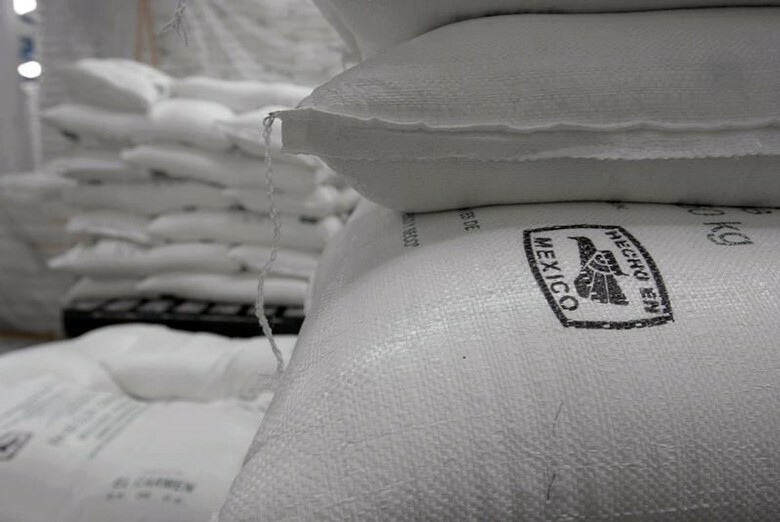 Dealers said they expected a delivery of some 350,000-500,000 tonnes, likely to include mainly Central American sugar, and possibly some Argentine and Brazilian supplies. March raw sugar settled up 4.7 percent at 14.56 cents, after rising to the highest since Jan. 22 at 14.61 cents. It closed at a 0.2-cent premium to May. May raw sugar settled up 0.36 cent, or 2.6 percent, at 14.36 cents per lb, just below Friday’s five-week high of 14.38 cents. The stronger Brazilian real currency was also fuelling sugar’s rise, a European broker said. A stronger real reduces local currency returns from sales of dollar-denominated sugar. Also supporting prices were data released late Friday showing speculators slashed their bullish raw sugar position by more than half in the week ended Feb. 23, when the market experienced a meteoric short-covering rally. Traders said chart-based buying buoyed prices after May’s historic 9 percent surge last week lifted prices above the 200-day and 50-day moving averages. May white sugar settled up $3.70, or 0.9 percent, at $406.90 per tonne. In cocoa, London March options expired with strong interest around the 2,200 pounds and 2,300 pounds levels, causing futures prices to rally, traders said. March London cocoa settled up 54 pounds, or 2.5 percent, at 2,215 pounds per tonne. “There are ongoing concerns over supply in the mid-crops because of dry weather in Ivory Coast,” one broker said.